A stunning 3D-Printed, hand-crafted, zoetropic short-film that asks if recalling memories can break a cycle. Created with the intention of telling a personal story about relationships, Raymond McCarthy Bergeron’s re÷belief employs some experimental techniques in both aesthetic and story to produce a hypnotic seven-minute short. Though the narrative might not hit the emotive notes for every viewer, the craft is undeniably beautiful and jaw-droppingly inventive, making it a short we couldn’t ignore. Inspired by the narrative approach of John Canemaker’s 2005 Oscar-winning short The Moon and the Son: An Imagined Conversation and the techniques of zoetrope artist Eric Dyer, Bergeron chose a more abstract format for his filmmaking to add a new angle to a storyline he felt had been covered many times before. “I viewed zoetropes as a metaphor for relationships”, the filmmaker explains in a conversation with Short of the Week, “because memories of our experiences often can haunt us in a cyclical way”. Taking two-years to create, three-quarters of that spent on research and securing funds, the actual production took six-months, with Bergeron working solo on the majority of his film (in the last couple of months he employed five other artists to help out). 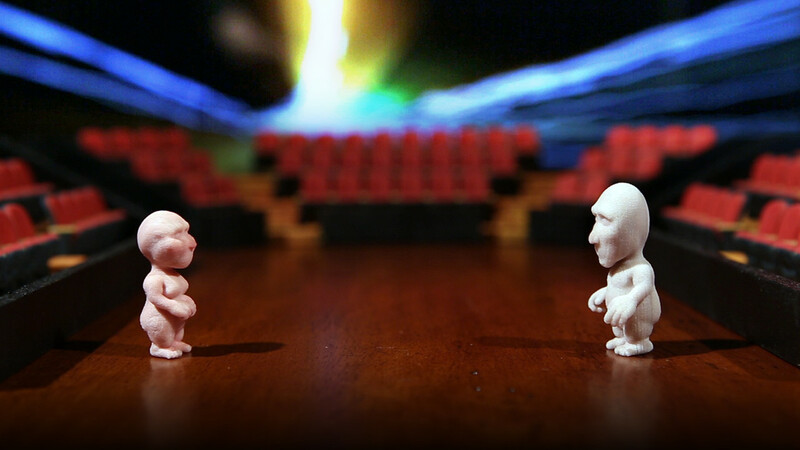 Though the filmmaker admits “the process of animating and creating the virtual zoetropes was nuts”, he reveals that it was all worthwhile when he completed the film and showed it to his partner. “I have a great passion for solving complex problems and boy did this film challenge my mind and patience”, says Bergeron. “Ultimately though, this is a visual love poem for my wife, so that moment when she watched the film and a tear rolled down her cheek, that’s when I knew my personal goal was achieved”.